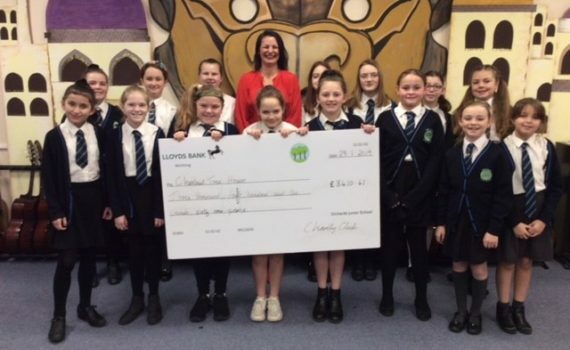 This amazing amount of money was raised during our annual reindeer run which takes place in school in December. Thanks to the generosity of our children and their families and friends, we were very proud to present this cheque to Caroline from Chestnut Tree House when she called into receive it. We would like to thank everyone who donated to this wonderful cause.